The U.S. Court of Appeals are encountering and deciding CERCLA (or Superfund) “Arranger Liability” cases in the wake of the Supreme Court’s 2009 decision in the case of Burlington Northern and Santa Fe Railway Co. v. United States, 556 U. S. 559 (2009). 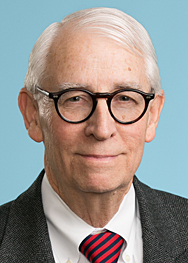 Earlier this year, the Fifth Circuit held, in the case of Vine Street LLC v. Borg Warner Corp., that CERCLA’s “Arranger Liability” for Superfund cleanup responsibility did not apply to most straightforward business transactions in which an intent to dispose of hazardous waste or hazardous substances in the guise of a business transaction could not be established. On March 20, 2015,a divided panel of the Fourth Circuit reached a similar conclusion in the case of Consolidation Coal Company v. Georgia Power Company, et al. The Court of Appeals affirmed the lower court’s ruling that granted summary judgment to Georgia Power Company in a cost recovery case involving the ongoing cleanup of the Ward Transformer Site, located in Raleigh, North Carolina. With respect to the latter case, Georgia Power is a large utility, providing power to most of the State of Georgia. In the early 1980’s, Georgia Power sold, at auction, many of its used electric transformers to the Ward Transformer Company. These transformers, when sold, still contained insulating oil mixed with polychlorinated biphenyls (“PCBs”), a toxic substance whose use had been banned since 1979. Ward repaired and reconstituted these transformers for re-sale as reconditioned units. Unfortunately, Ward’s Raleigh, North Carolina facility became contaminated with PCB, and the site was placed on EPA’s National Priority List, requiring its cleanup under CERCLA. The Court of Appeals notes that more than 400,000 tons of contaminated soil have been removed from the site. Consolidated Coal Company and PCS Phosphate Company, Inc. have borne most of the cleanup costs as “potentially responsible parties” (“PRPs”) under CERCLA–both companies have each spent more than $17 million so far, and they have sought contribution from other PRPs at the site. It was alleged that Georgia Power was also a PRP in that its sale of these used transformers containing PCBs to Ward Transformer Company thereby “arranged” for the disposal of hazardous substances, triggering CERCLA liability.